Is Going Freelance Your Next Move? How many of us would dare to make the leap from being employed to being a freelancer or self-employed? If you intend to join the ranks, you should meet Garick Bay. 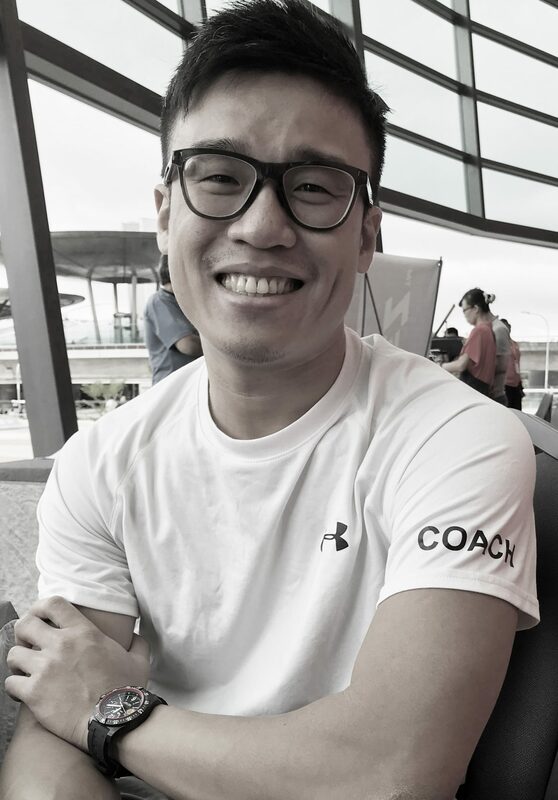 Garick, 37, was an Aeronautical Engineer with Singapore Airlines before he made the switch to freelancing in 2011. He now runs his own photography agency and trains tertiary student in rock climbing. We ask him the why, how and what-if’s of his career. Engineer to photography/climbing! Why the switch? Garick: When I was an engineer, I had two loves: sports and photography. I was both coaching and shooting actively then. Eventually I was getting a bit bored and tired of the corporate world so I decided to try and see if I could make it on my own. If I don’t try, I wouldn’t know right? I was in a right phase of my life to try; I was married but no kids yet. Except my house payment, I was free from financial commitments. Were you fearful when you made the switch? Garick: Fearful? I would say that before I made the leap, I thought over it many many times, just to be sure of what I was doing. Garick: I discussed the idea with my wife. I can’t remember how I broached the subject, but she wasn’t shocked about my decision. She knew all along that I was pursuing these two interests. I explained to her that my job wasn’t fulfilling and wanted to try out something, and set myself a deadline of 2 years to prove myself. It’s been more than 2 years. Do you feel that you have succeeded or achieved what you wanted? Garick: I can’t say I’m satisfied. I don’t think I’ve done enough, really. But every day is a new day and there are new challenges to pursue in the business of freelancing. What sort of milestones did you set for yourself when you first started? Garick: My first milestone was to offset the $20,000 invested in photography equipment within a year, which I did. What is one of your biggest fear as a freelancer? Garick: The fear of not being able to work. If I met with an accident, it would mean a loss of income. If I’m down with the flu or a cough, I can still shoot and coach. But if I break a leg, I will be unable to perform both functions. Was it difficult when you started? Did you do it alone or you worked with a team of others? Garick: I joined a friend who ran a rock-climbing coaching company and he got me to coach some of his clients. That helped me jumpstart my career. As for my photography, I joined an established form that gave me some peer-mentorship and helped me in the long run. How different is the freelancing industry when you started out in 2011 compared to today? Garick: The previous generation would discourage you. No CPF, not stable, no benefits and holidays. Today, the young have a more entrepreneurial spirit. Many want to venture and start a new startup. But if you speak with someone whom had carved a niche for themselves, the words would most likely be “go for it!”. What is one advice you would give to aspiring freelancers? Garick: Build a good network. That is basically what you need. Lastly, how would you measure success as a freelancer? Garick: I measure my own success by being able to pay my own bills, feed my family, be financially independent and be able to make my own investments. Freelancers such as Garick do not enjoy employment benefits, legislative protection and protection of trade unions unlike their salaried counterparts. They do, however have access to associations and also the NTUC freelancer’s network (specifically, the Freelancers and Self-Employed Unit). Through these channels, they have access to services such as seminars, legal advice and other programmes under the NTUC umbrella. So what do you think? Are you ready to capitalise on your skills also? Are you ready to jump into ocean of entrepreunal uncertainty like Garick? Great Article. I must say that i’ve enjoyed a lot while reading it full. Yes, I’ve also done Freelance work for 3 years and that time things were pretty well. slowly and gradually time was passing and one night the time has arrived and all of sudden my all freelance projects were lost and i start depressing. And finally i decided to hunt a new job and now its all fine.